What can we do in town? Whether it's corporations or governments, digital surveillance today is widespread. Protect your freedom and privacy with decentralized communications, contacts, and file share delivered using the strongest contemporary encryption methods. You should be able to find what you're looking for. 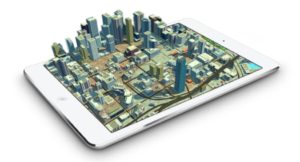 Explore local people, events, activities, and resources spatially in 3D augmented-reality (AR) environments that reinvent local discovery, publishing and engagement. LocalToken™ are digital rewards received for contributing to the community (like volunteerism) and by engaging with people, places, and events through the network. When LocalToken™ are exchanged for local goods it strengthens the economy. "We're gearing up to unleash abundance in your town." We've been able to validate the idea that a local rewards token can increase community engagement, volunteerism, and trade; enhance individual purchasing power; and drive new high-value transactions to local business. Please, join us and bring the power of LocalPort to your town. Add your name and we'll send everything you need to launch LocalPort in your community.